When the sun shines in New York, the real fun begins. Summer in New York is truly magical. Every day is jammed packed with things to do, and in a place as diverse as the concrete jungle, it’s easy to find a scene that embraces your culture — sans appropriation. Basically, when you’re black in New York City during the summer, it's bound to go down. June 16, 2018, 2–10 p.m. Known as the “kick-off for the summer in NYC,” this annual event brings pounds on top of pounds of boiled crawfish to Brooklyn, while banging classic southern hip-hop. This year, the legendary Mannie Fresh will be there assisting with the turn up. June 20, 2018, 10 p.m.
June is Pride Month, and your NYC summer wouldn’t be complete without partaking in a few queer events. Voguing is a big part of the culture, and its history is deeply rooted in the black LGBTQ community. Join your brothers and sisters as they dance the night away at the popular House of Yes! DJ MikeQ on the 1s and 2s. June 22, 2018, 11 p.m. Going 15 years strong, the Freedom Party is a New York staple. The DJs spin hip-hop, R&B, pop, rock, reggae and house hits from the ’80s, ‘90s and 2000s. Enjoy the vibe and keep the old-school feel of the party by leaving your phone in your pocket. Dumont Ave. & Strauss St.
June 29, 2018, 7–9 p.m. Prepare to be moved by DeVaughn’s silky vocals as he heats up the stage in East New York. The R&B singer’s hits, “Customer” and “Woman” are sure to be highlights of the evening. 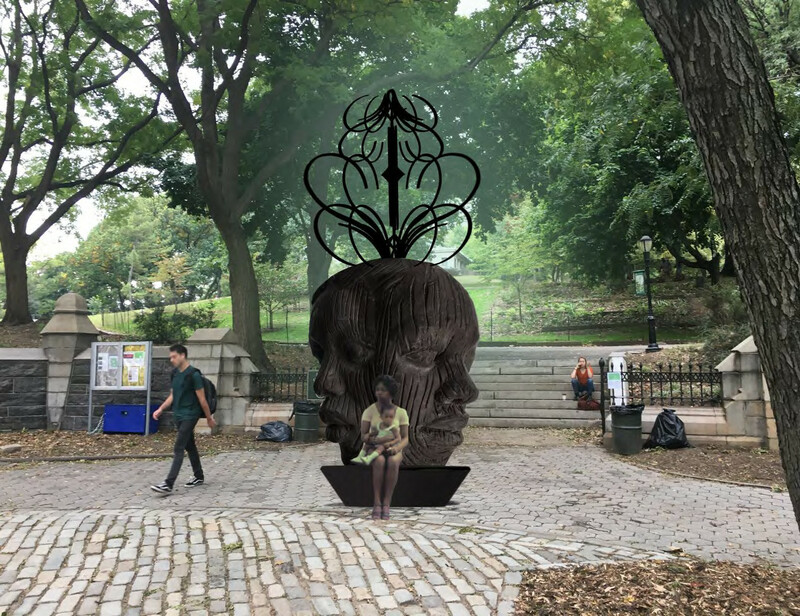 As part of the yearly UNIQLO Park Expressions Grant Art Exhibit, Brooklyn artist Tanda Francis’ work focuses on “monumental African female heads and masks and ancient customs and rituals.” As we all know, black culture is still severely underrepresented in public spaces. Lee’s larger-than-life sculptures aim to change that by spreading positive images of, and by, people of African descent. The Classical Theater of Harlem brings another top-notch summer show to Marcus Garvey Park. The annual treat features a predominantly black cast and is a perfect family friendly outing. July 8, 2018, 3–8 p.m.
It’s the legendary house party that keeps going and going. Prepare to sweat as you dance the day away. Later, take a break and check out the many vendors lined up around the park. 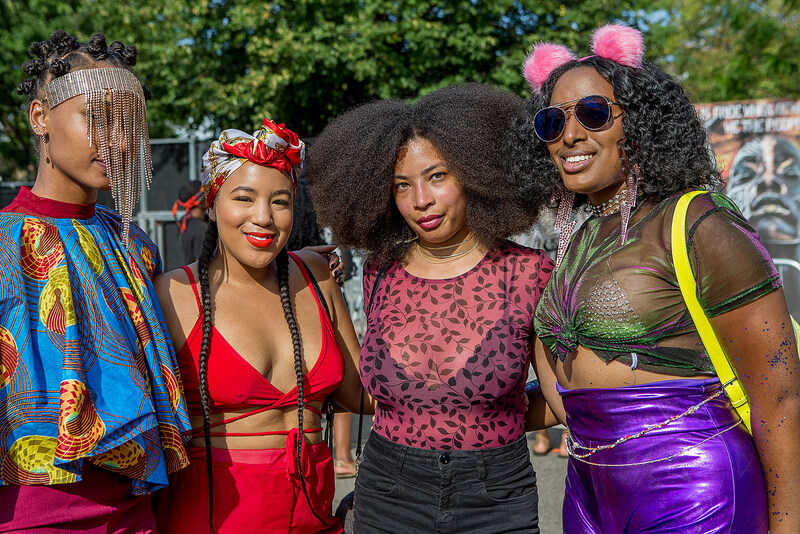 It’s a classic Brooklyn event that is an essential New York City summer rite of passage. The High Line at 14 St.
July 19, 2018 9–10 p.m. Performance artist Ayesha Jordan becomes Shasta, an out of this world, self-proclaimed icon. She gives the audience hip-hop and R&B realness complete with tons of diva attitude. 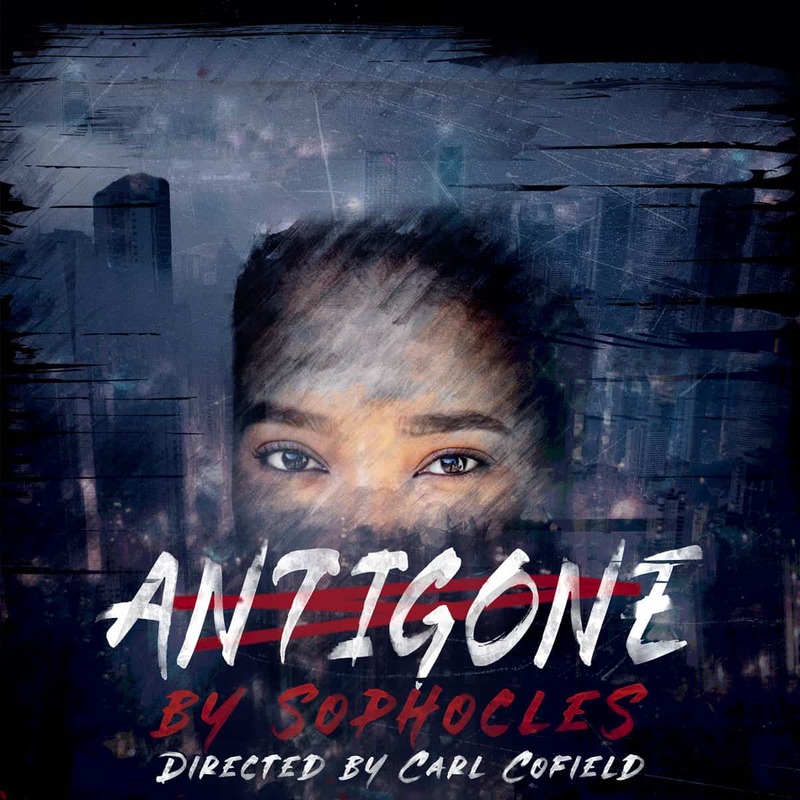 The production is assisted by stage director Charlotte Brathwaite. Audience engagement is a part of Jordan’s art, so prepare to become a live piece of her canvas. This popular and delicious soul food restaurant is moving from Lenox Avenue and joining the ranks of other famed Harlem restaurants on Frederick Douglass Boulevard, also known as Restaurant Row. After announcing the closure of his restaurant, Streetbird, famed chef Marcus Samuelsson passed the space over to Carlos and Markisha Swepson, the owners of BLVD Bistro. Be one of the first guests to dine in the new space this summer. Watching a movie in a New York park is a must during the summer, and Bryant Park is the city's standard. Usually, the line-up of films pack a lot of heart, but lack a bit of soul. That will change this year when the black family staple, The Wiz, illuminates the lawn. Bring a big blanket and lay out under the stars as Diana Ross and Michael Jackson shows Midtown how it’s done. Take in the great outdoors once more to see the black modern classic, Love & Basketball, at Brooklyn Bridge Park. Get there on time because, as a bonus, the beautiful DJ Reborn will be spinning before the feature, and BAMcinématek will be screening the short film, To Be Free, directed by Adepero Oduye, as a warm-up. The blackest music festival of them all returns to the city where it started. This year features, Erykah Badu, Janelle Monáe, Miguel, Daniel Caesar and many more. September 3, 2018, 11 a.m. Attracting over a million spectators, the Caribbean Carnival Parade is an exhilarating experience. 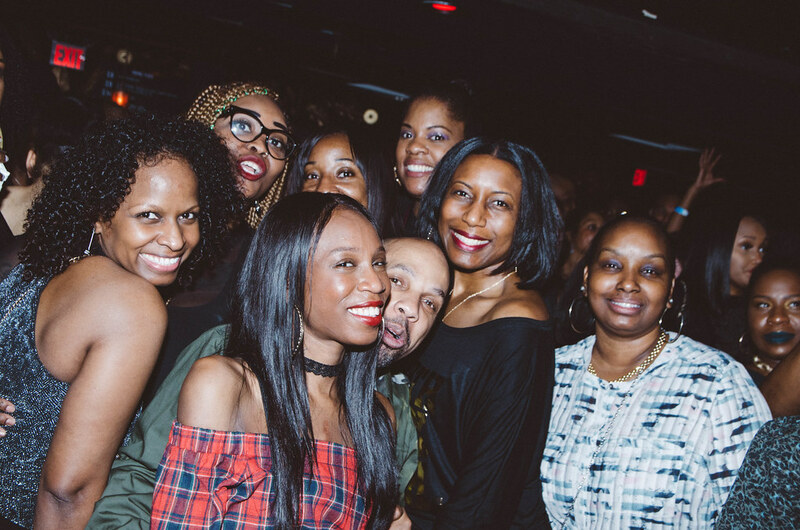 It’s beyond lit and brings everything about Carribean culture to NYC (except the beaches). Wear light clothing and don’t panic if you get baby powder or paint thrown on you. It’s all part of the experience. Take it in. September 13, 2018 7–9 p.m. The incredible Jazz Saxophonist George Braith performs on Pier 84, with the gigantic USS Intrepid overlooking the show in the background. Bring a date and hang out for a while after the show is over. The pier is beautiful at night. 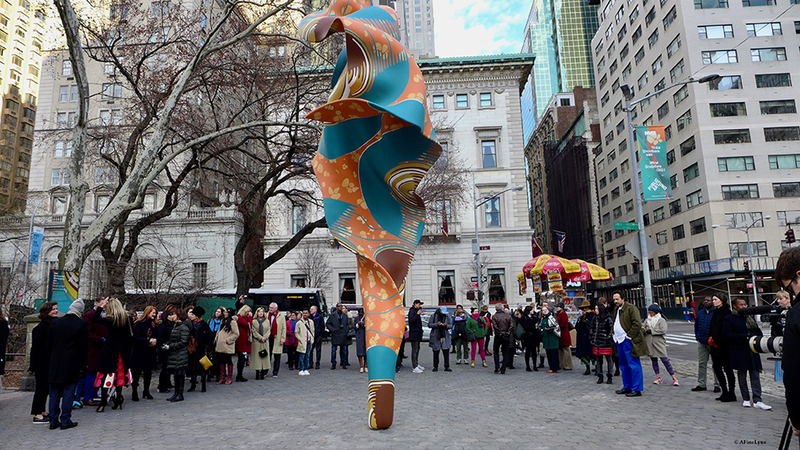 The Public Art Fund showcases the work of contemporary artist Yinka Shonibare at the busy east side perimeter wall entrance to Central Park. Wind Sculpture is painted to look like West African fabric, and is shaped as if wind is blowing through it. The piece is playful, yet meaningful. Weather you're a New York resident or just visiting, mark your calendars wisely and get into as much as you can this summer while hitting the streets of the capital of the world. If you know of any other black happenings this summer in New York City, comment below and share with us!